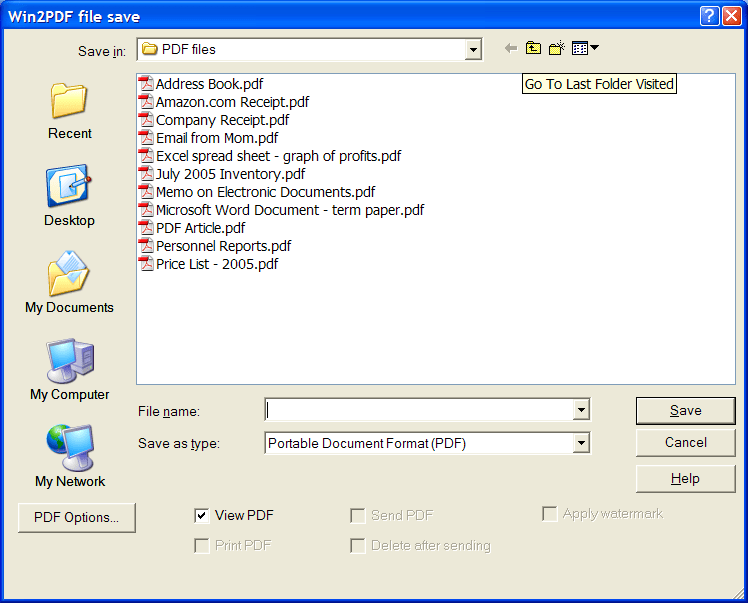 The file save options such as "View PDF", "Print PDF", and "Send PDF" can be disabled by adding a DWORD value to the registry named "disabled options" at any of the standard registry locations. The options are specified using the same table as the "file options". The values can be added together, so if you wanted to disable the "send PDF" and "delete after sending" options you would set "disabled options" to 0x41 hexadecimal. All values are deleted after each document is created unless the "persistent" registry value is set.